The SensorKleen Pro product allows the user to automatically erase the dust and debris in a set of Digital SLR (DSLR) camera images. These image defects are caused by artifacts on the camera sensor cover. 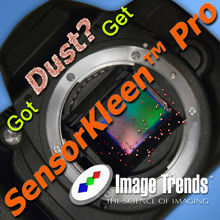 SensorKleen Pro processes a folder or set of images, calculates the dust locations and corrects the entire set. The SensorKleen SmartBrush product (included with SensorKleen Pro) allows you to correct the dust and debris in individual images. The patent pending SensorKleen technology separates the image content from the shadow created by the dust or defect on the sensor and reveals the image content that is under the dust artifact. 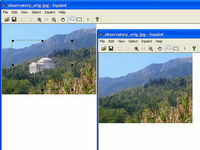 SensorKleen Pro allows you, in one simple process, to correct a set of images from the same photo session. 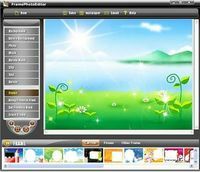 The images must be from the same camera and should consist of 20 or more images. 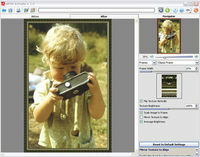 SensorKleen Pro will find the artifacts and remove them from your images. It is the perfect 'morning after' product for your images! If you do not have enough images to process with SensorKleen Pro, then the included SmartBrush product allows you to brush over the dust and debris in a single image while separating the image content from the shadow created by the dust or debris on the sensor. SmartBrush reveals the image content that is under the dust artifact. 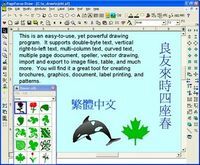 SmartBrush is used when you have only a few images to correct. The SensorKleen Pro product is unique in that it combines the speed of an automatic calculation of the dust size with the flexibility of a manual touch up mode using the SmartBrush technology. Using the image metadata from a DSLR camera, SensorKleen Pro and SmartBrush will both process the image and separate image content from the dust and debris shadows.